Today my friends, I would like to discuss a product that has some many uses for your home and best of all it is economical. 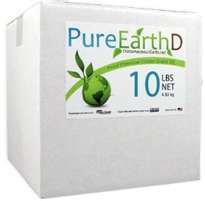 This product is Diatomaceous Earth (D.E.) and I will explain to you what it is and some of its many uses. So are you ready –listen closely? Diatomaceous Earth is the shells of diatoms, from thousands of years ago. They are the microscopic remains of these one-celled plants, and they are mined from deposits in underwater beds or from dried lake beds. Once it is mined, it is milled and ground up into a fine powder. The powder particles resemble bits of broken glass when observed thru a microscope. Pure diatomaceous earth is an organic substance that is chemically inert and completely safe to use–A non-toxic, safe substance! 1. Use it for Your Pets : This makes D.E. (Diatomaceous Earth) an excellent natural topical dusting powder for animals with fleas, ticks, lice and other external pests. D.E. can also be used as a oral nutritional supplement in feed or fed straight during parasite season for animals with skin and coat needs associated with internal parasites. Dust pets with D.E. and fleas will disappear. It also kills mites. 2. Use it as Insect Control: D. E. is completely harmless to all animals, fish, birds or in food so it can be used for insect control. Deadly to any insect or larvae. D. E. particles are razor-sharp, and they work in a mechanical or physical way as an insect control. The sharp edges cut or scratch the insect’s exoskeleton (outer shell), which causes it to dehydrate and die. It will kill fleas, ticks, bedbugs, all ants, all beetles, cockroaches, flies, snails, slugs, spiders, termites, scorpions, lice, centipedes, earwigs, aphids, fruit flies, stink bugs, borers and any other insects it comes in contact with. You can use it as an indoors and out! Outdoors you can dust it anywhere these pests may occur, around foundations and in barns and stalls. Food grade D. E. is safely mixed with stored grain to prevent insect infestations. It can be removed before using the grain, but removal is not necessary. The ratio for grain storage is 1 cup of D. E. to 50 pounds of grain. For Indoors, apply lightly to inside corners and crevices of cupboards and around basement walls. Use a squeeze bottle with a spout to force the dust behind baseboard or around plumbing or wiring holes in walls. Sprinkle it lightly on carpets and allow to remain for a few days and then vacuüm to remove. It will kill flea larvae and fleas in the carpets and rugs. 3. Use it in Your Garden: Use food grade D.E. as a crop dust on any yard or garden plants right up to harvest. There is no chemical activity, so it is completely safe. It will kill hard-bodied insects as described above, and it also kills soft-bodied larvae in the same manner. Use it to control any food garden pests, such as cabbage loopers, cutworms or beetles. You can also mix 1 to 2 cups of diatomaceous earth in water and spray it on plants, or even brush it on fruit tree trunks and limbs, fences, or picnic tables, or use it as whitewash for fences. It even kills termites. It will also kill honeybees and beneficial insects, so always use it only as necessary. D. E. does not harm earthworms. In fact, if you sprinkle some onto your compost pile, the earthworms will churn it in with the compost. 4. Uses for Health Purposes for Animals: Mix food grade D. E. in livestock and pet feed to kill parasitic worms, plus it contains 15 minerals that will make healthier animals. It is an aid in better feed conversion, and helps improve lactation while lowering the development of mastitis. I hope you found this information helpful and I can personally testify that D.E. is a great pest control for insects. I have used it in my house and there is no toxic dangerous fumes, no danger of any kind. I am a very sensitive to any pesticides or chemical products and I absolutely had no problem. It is truly an organic, non-toxic safe product. Quote of the Day: Look deep into nature, and then you will understand everything better!